Almost 70 Galaxy Forums, with a total of about 300 presentations to date. 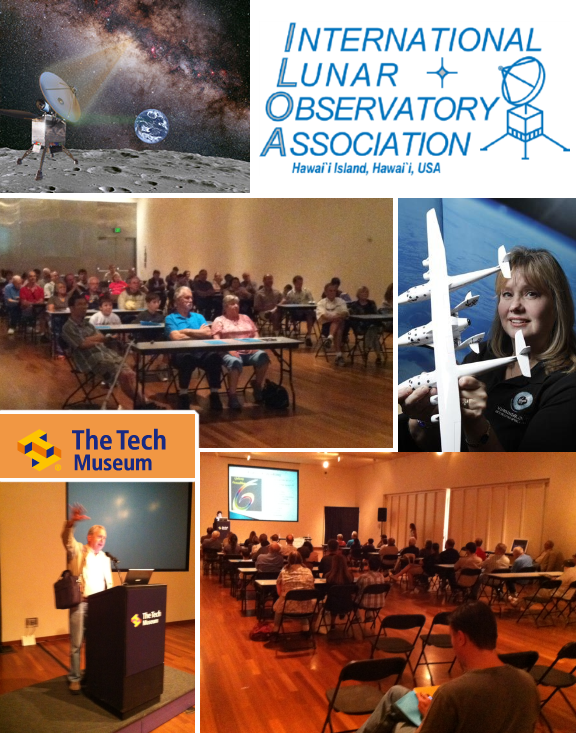 International Lunar Observatory Association (ILOA) is an interglobal enterprise incorporated in Hawaii as a 501(c)(3) non-profit to expand human knowledge of the Cosmos through observation from our Moon and to participate in internationally cooperative lunar base build-out, with Aloha – the spirit of Hawai`i. Galaxy Forum USA 2013: Galaxy Education, Galaxy Exploration and Galaxy Enterprise in the 21st Century celebrates USA Independence Day with a focus on our home, the Milky Way Galaxy and the future that it holds for humanity. Last year’s inspiring Galaxy Forum USA in Silicon Valley was attended by about fifty teachers, researchers, NASA scientists and interested members of the public. Steve Durst, Founding Director, ILOA and SpaceAge Publishing Co.
Also check out: NewSpace 2013 Conference on July 25-27 in Silicon Valley — The next disruptive innovation is already underway and it is in space. 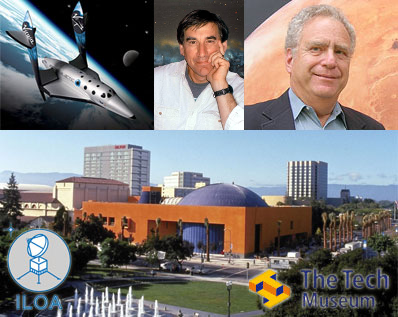 Galaxy Forum USA 2011, sponsored by the ILOA and hosted at The Tech Museum of Innovation was a successful continuation of our mission to advance Galaxy education and enterprise in the 21st Century. See our print ad for the event. 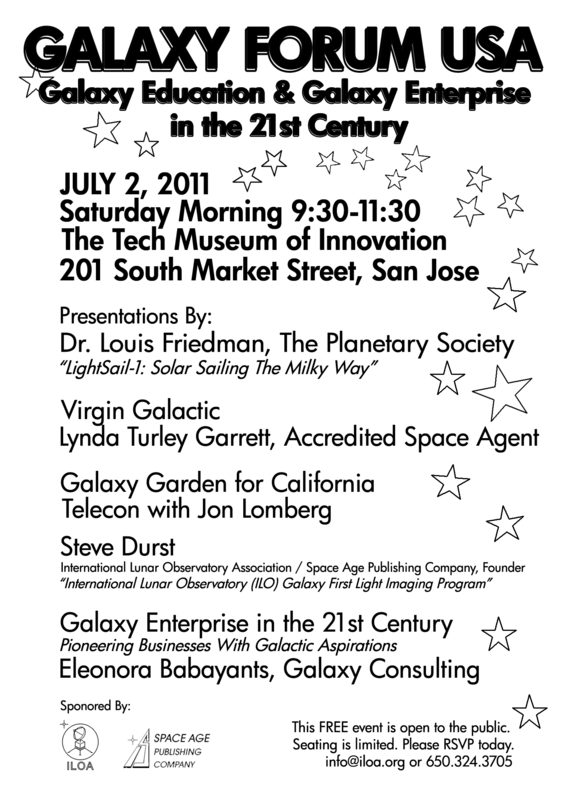 Click here to view the Galaxy Forum USA 4 July annoucement and download the flyer.